Climate change can mean wild weather and smoggy cities—but it doesn’t have to be that way. CFE and Connecticut leaders are working to increase renewable energy and curb greenhouse gas emissions—spurring our green economy along the way. Read on to learn what your legislators are doing to curb the effects of climate change, get our new shared solar toolkit, and join us at a climate rally and family fun day. The climate in the Capitol is sunny with talk of climate legislation! Right now, your legislators are deciding Connecticut’s future with bills that tackle dirty emissions, clean the air you breathe, and save you money. HB 5002: A Green New Deal bill that expands the state’s efforts to decarbonize, boosts renewable energy production, and creates thousands of jobs along the way. HB 7251: A solar bill that attempts to fix faulty net metering legislation from last session, extends commercial solar incentive programs, and continues residential programs that ensure equitable solar access for all Connecticut residents, including city dwellers and lower-income families. HB 7205: An electric vehicle bill that extends the critical CHEAPR rebate program that puts more EVs on the road each year, and makes sure the state is investing in EVs for its own fleet. HB 7156: A bill that authorizes offshore wind energy for Connecticut—we’re pushing for a requirement of at least 2,000 megawatts to make a serious difference. Unfortunately, legislative action to reverse the energy efficiency fund raids that caused job losses and small business closures is stalled, but it’s still a high priority—we’re fighting to force the return of the funds and make sure it never happens again. Reach out to your own legislators about these important initiatives to ensure they are voted into law this session. We’ll let you know about key moments to speak up! Check out our brand new shared solar toolkit that will help more people like you get power from the sun—even if you can’t put solar on your own roof. 4 out of 5 residents cannot install solar at their homes because they rent, live in multi-family homes, or don’t have the right roof and/or too much shade. Shared solar has the potential to exponentially grow green power by letting people buy power from large solar projects located away from their homes. You can bring shared solar to your community – check out the toolkit today to get shared solar rolling in Connecticut! CFE partner Infocast hosted an inaugural Tri-State Community Energy summit in New York City. Local government and business leaders from New York, Connecticut, and New Jersey discussed lessons from their clean energy programs that stimulate local economies, save residents and small businesses money, and contribute long term value to the whole region’s energy landscape. Learn more here. 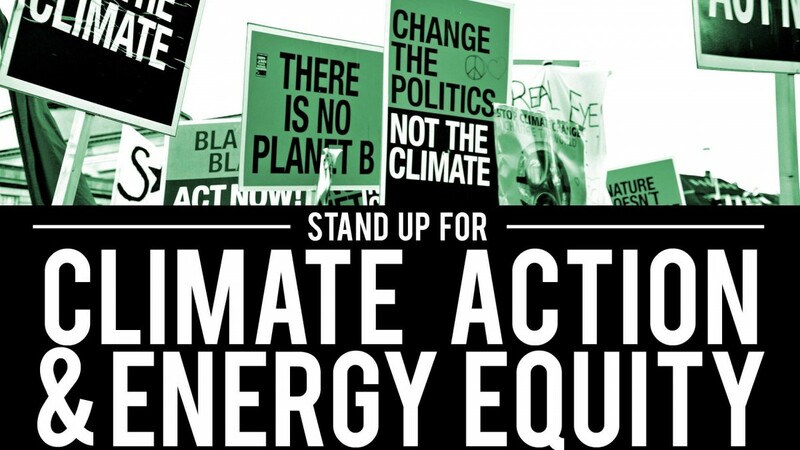 Stand Up for Climate and Energy Equity on April 14! Join with clean climate and environmental justice orgs like Efficiency for All, the Sierra Club, 350 CT, CT League of Conservation Voters, Operation Fuel, Clean Water Action, and Chispa CT to support responsible climate, energy, and transportation policies for our economy, environment, health, and local jobs. More info here. When: Sunday, April 14, 1-4 p.m. Looking for an opportunity to harness your advocacy, leadership, and legal skills to make Connecticut a regional leader in fighting climate change? Do you want to enact laws and policies to ensure Connecticut slashes 45% of its greenhouse gas emissions by 2030? If so, you may be the ideal candidate to help lead CFE’s climate program. As our Climate and Energy Attorney, you will have the opportunity to build on four decades of successful advocacy before Connecticut’s legislature, state and federal agencies and courts, and local governments. Full description here.